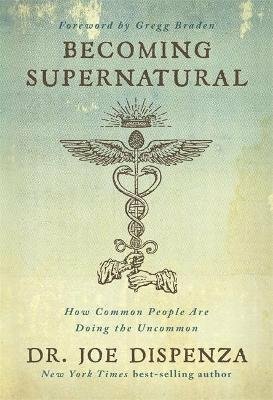 What would it mean to become supernatural? What if you could tune in to frequencies beyond our material world... change your brain chemistry to access transcendent levels of awareness... create a new future... and transform your very biology to enable profound healing? This is what Dr. Joe Dispenza offers in this revolutionary book: a body of knowledge and a set of tools that allow ordinary people-people just like you-to reach extraordinary states of being. Dr. Joe, author of the New York Times bestseller You Are the Placebo as well as Breaking the Habit of Being Yourself and Evolve Your Brain, draws on up-to-the-minute research in neuroscience, epigenetics, and quantum physics to show how this kind of transformation takes place and what it can mean for our lives. In these pages, you'll explore: - How to free yourself from the past by reconditioning your body to a new mind - How changing your frequency allows you to create reality in the "generous present moment" - The secret science of the pineal gland and its role in accessing mystical realms of reality - How to shift your awareness beyond the limited, predictable material world and move into the quantum field of infinite possibilities - And much more Using tools and practices ranging from state-of-the-art brain imaging to exercises such as a walking meditation, Dr. Joe offers nothing less than a program for stepping outside our physical reality and into a new world. "This is who we really are," he writes, "and this is the future I'm creating-one in which each and every one of us becomes supernatural."